Preserving and sustainably governing Cultural heritage and Landscapes in European coastal and maritime regions (PERICLES). An EU project in which ENP is involved. Marloes will work on the Waddensea case. The Waddensea is an interesting area; an UNESCO world heritage site since 2009, important as ‘natural area’ (i.e. for migrating birds); as ‘place’ for many people living and working in the area (i.e. fisheries), as a ‘space’ where tourists enjoy the environment as well as an area with valuable gas fields. The Waddensea is governed at multiple levels – will that make a difference compared to other cases with one government responsible? How will the area cope with change, such as climate change? How will the different uses of the area interplay and what role does and can cultural heritage play? Such questions will be addressed in this case study. Better understanding of fishers’ behaviour and the implications for research and policy. 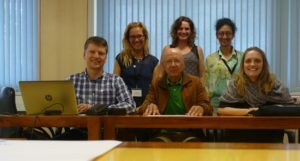 A WMR – WEcR KB (knowledge base) project lead by Marloes Kraan and Katell Hamon. Fisheries management aims at influencing the behaviour of people, of fishermen. Currently we do not have a full understanding of fisher behaviour, we often know the results of their behaviour but not what has caused it. 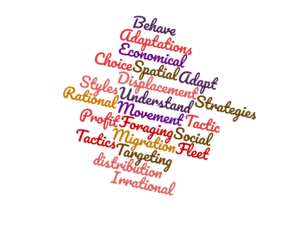 In many projects assumptions are made about fishers behaviour, often based on classic economic assumptions of fishers being rational individuals, whereas we know from social science research that people’s behaviour is based on much more (worldview, perceptions, knowledge, abilities, values, norms); and from behavioural economics that people are ‘predictably irrational’. 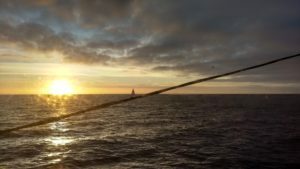 In this project we will develop a better understanding of fisheries behaviour, investigate which methods and theories are available to study it and see how these different approaches can be brought together. An improved understanding of fisheries behaviour could better predict the effects of current or new measures on fisheries management (i.e. the landing obligation). Fish 4 Food. 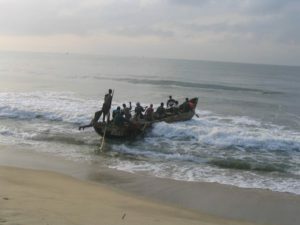 An NWO project called: Fish for food security in city regions of India and Ghana: an inter-regional innovation project. 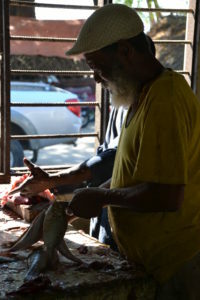 This project aims to understand how low-price fish chains contribute to urban food security in India and Ghana and to identify policy and business interventions that have potential to improve them. Marloes is working on the anchovy value chain within Ghana and on the value chain of imported pelagic fish of the PFA to Ghana. e-COST project: Ocean Governance for Sustainability – challenges, options and the role of science. A unique, transdisciplinary network of 58 proposers with regional and international outreach. 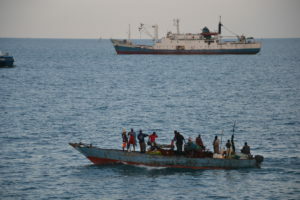 The network aims to establish an integrative vision, and a series of approaches that informs research and future policy directions on crosscutting sustainability-driven issues related to the fragmented governance framework of oceans, seas and coastlines within regional waters, and the open ocean in areas beyond national jurisdiction. Marloes is member of the Working Group on food-security & fish in the EU. Aquacross is a Horizon 2020 project which aims to support EU efforts to protect aquatic biodiversity and ensure the provision of aquatic ecosystem services. As such, AQUACROSS seeks to advance knowledge and application of ecosystem-based management (EBM) for aquatic ecosystems to support the timely achievement of the EU 2020 Biodiversity Strategy targets. Marloes is involved in the North Sea case study and is responsible for the consultation of stakeholders. Scoping missions to Tanzania and Kenya. Wageningen Marine Research was asked to carry out two scoping missions to Tanzania (2016) and Kenya (2017), by The Dutch Embassy and the Dutch Ministry of Economic affairs. The missions aimed at describing the Kenyan and Tanzanian marine fisheries sectors and at sketching opportunities for cooperation. Focus was on food security & fisheries improvements. GAP2 Project Connecting Science Stakeholders and Policy. 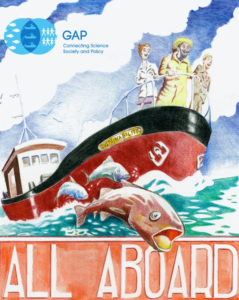 GAP2’s purpose was to demonstrate the role and value of stakeholder driven science within the context of fisheries’ governance. Marloes Kraan was case-study coordinator of the Netherlands’ Case Study, in which the ongoing practice of research cooperation was explored between WMR and the demersal flatfish sector. ODEMM: Options for Delivering Ecosystem-Based Marine Management. ODEMM focused on the structure, tools and resources required to choose and evaluate management options that are based on the principles of Ecosystem-Based Management (EBM). A consortium of 17 partners from across Europe were involved in the project which produced the ‘ODEMM Approach’ to EBM. Marloes was involved in the Governance work package. Damara Project. A scientific decision-support tool for the development of a management plan in the Celtic Sea. The Damara project arose from a North Western Waters Advisory Council initiative to develop a mixed-fisheries management plan for the Celtic Sea and a parallel initiative by the European Association of Fish Producer Organisations (EAPO) to improve selectivity in the demersal fisheries in that area. During these processes, the scientific advisors and stakeholders collectively identified a key knowledge vacuum when trying to assess the biological and economic impact of different types of management interventions. This was a barrier to make progress. The European Commission then agreed to provide financial support to what became this project. Marloes was involved in the stakeholder engagement subgroep of the project.